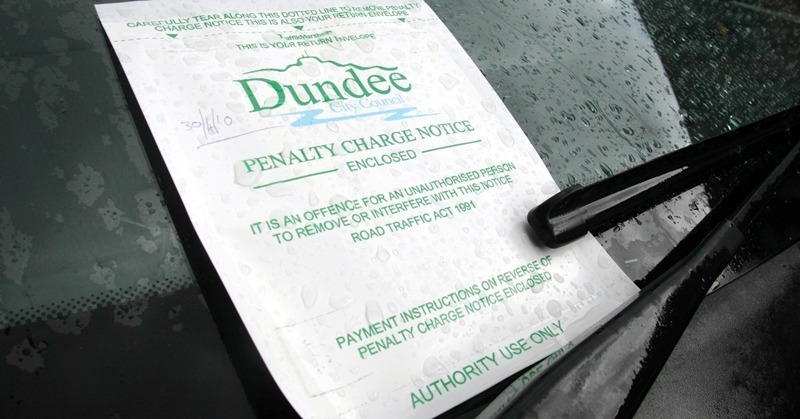 A parking ticket on a car in Dundee. Parking fine, Penalty Charge Notice. Weekend parking restrictions are to be removed from a Broughty Ferry street but not until next summer. The move comes after pleas from residents in Church Street and Queen Street, who queried why restrictions limiting parking to 30 minutes, to allow parents to drop off children at Eastern Primary, were in force outside school hours. Their case was taken up by Councillor Derek Scott, who said: ”It seems unnecessary and all it does is shift the problem of long-stay parking to elsewhere in the locality. ”I’m told that the traffic regulation order process in Dundee has a standard period of Monday to Saturday, 8am to 6pm, and where any limited waiting is specified it is applicable in these time bands. ”I have been advised that the council, in response to the concerns raised, is proposing a relaxation of the standard by only applying the restriction Monday to Friday.